What to Expect From Your Recovery After Foot Surgery | Podiatry Associates, P.C. Coloradans love to spend time on their feet, enjoying the great outdoors. Enjoying the outdoors can require that you need to be on your feet for hours on end and can be a challenge when you suffer from foot pain. Having surgery is a scary thought for many people. If the fear of what to expect after your surgery is holding you back from getting the care you need, here are a few things that you can expect for your recovery after foot and ankle surgery. Immediately After Your Surgery. 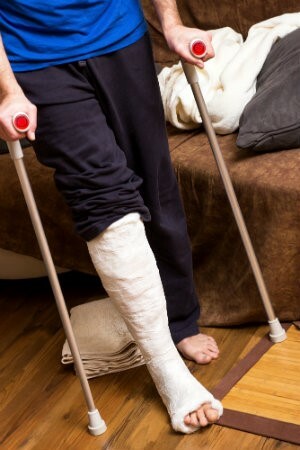 For the immediate post-surgical period, your foot will be immobilized and bandaged to allow it to heal with minimal risk of damage or infection. When You Return Home. Every foot surgery is different. Your doctor will give you at home care instructions to help your foot heal well. These can include icing your foot, cleansing any open wounds, taking medication, etc. Follow Up. You will need to follow up with your foot surgeon to ensure everything is healing, as it should. In your follow up appointments, you may learn about physical therapy options available to you to aid in your recovery. Having foot surgery may not be your idea of a good time, but it can give you long-term relief to help you enjoy your daily activities again without pain. If you’re living in pain, contact a foot and ankle surgeon at Podiatry Associates today by calling 303-805-5156 to schedule an appointment at our Castle Pines, Cherry Creek, or Parker offices.